Customer Thermometer is a 1-question, 1-click customer satisfaction survey which Arapahoe County has subscribed to on your behalf. All departments are now able to access and use the service to measure customer satisfaction between departments and between departments and citizens. The service is flexible and can be used in a number of ways. This page and the videos below are here to guide you through the simple set up and to ensure the service is used consistently across the County. You will not need to watch all the videos – just the one(s) relevant to your role and what you’re looking to do. For more detailed explanation of functionality, you can refer to our user guide at any point. If you are going to use Customer Thermometer in your Outlook signature – you will have been provided unique links to add to your signature area. This video will explain how to set it up and be up and running in a couple of minutes. 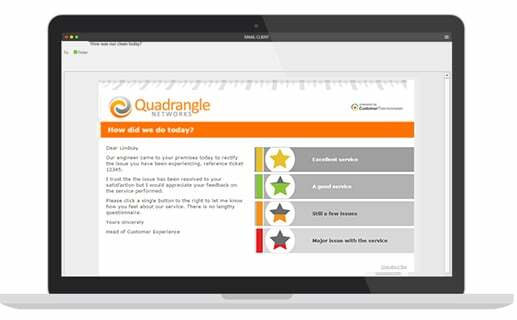 Customer Thermometer is a 1-click feedback system It lets you build 4 stage traffic light emails (Red, Yellow, Green & Gold Star) and send them out. 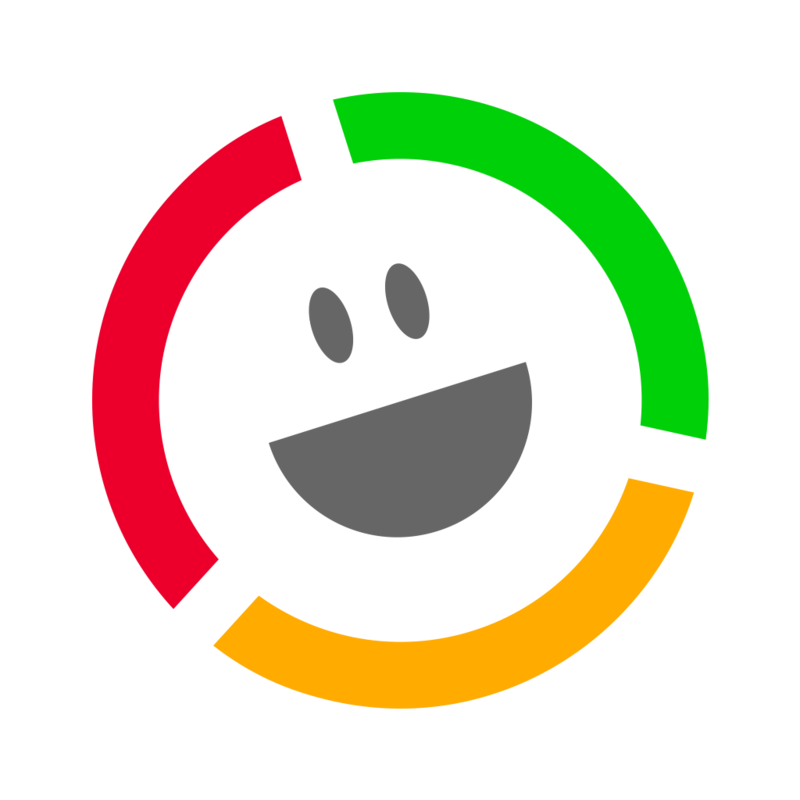 You can send them to your customers, contacts, partners or staff to ask what they think of something in real time. Customers click one button to let you know how they feel. Low impact on them – great insight for you. It charts and graphs the results for you and lets you interrogate the data in a number of ways. It also alerts you immediately via email if someone hits a red light. We call this a Thermometer. The guide below explains how to get started. You can make new Thermometers and edit old ones through the “Manage Thermometers” page. Once you’ve saved the Thermometer, you can preview it, edit it and send yourself a test. You can save as many Thermometers as you want, as well as go back in and edit your old ones to resend. Next, you need to create your Landing pages – the page your recipient will see, once they’ve clicked a response. There are 4 individual pages to customize. Gold star, Green, Yellow and Red. Tone of voice, comments, social media, adverts and branding can all be customized. Finally, you can choose whether you would like to be alerted via email for each response and/or comment. This might be your regular customers, your key accounts, or all of the customers who bought something from you the week before. Basically it’s the list of people you want to ask the specific question of. Some people send Blasts on a customer-by-customer basis. Some send Blasts to their entire customer base. How you choose to do it is up to you. Remember that the app reports by Blast sent. You can type your list in by hand, or upload a list directly into the app. To upload a list, you’ll need to create a CSV file. If you don’t know how to do this, you can download an example from our website on the “create a list” page. You can create and edit a CSV file in Excel (make sure you save it with a .csv file extension). You can upload, create and save as many Lists as you want so that you can come back and reuse them at any time. Once you’ve created a Thermometer, and created a list of people for it to go to you are ready to send. Go to the “Send a Blast” page and choose the appropriate Thermometer name and list name from the drop down box. You get the chance to preview the final Thermometer again on this page before you send it, as well as the option to send a test to yourself. Once you’re happy, send your Blast. The system will send the emails out straight away and you can monitor what’s been delivered and responded to, and any bounces, from the dashboard. Responses are logged in real time on the reporting dashboard, along with the time the customer hit that button. Managing the responses and following up on them quickly is critical to the success of this process. When you send a Blast, there is the option to send it at a specific time and date. How can I delete a Timed Blast from my account? If you realise you’ve made an error or simply change your mind, you can easily delete a Blast which is set to be sent at a specific time. Visit your reporting section and click on the Pending Blasts tab. Once inside, you’ll see all Blasts queued to leave at certain times. Click the corresponding red cross to the right of the Blast, confirm the message, and the Blast will no longer be sent. Credits will be refunded back into your account. 48 hours after you’ve sent a Blast, you will be given the opportunity to send recipients who have not responded, a Reminder. A button will appear next to the Blast in your reporting area. Clicking it will then give you the option to review who it’s being sent to, as well as giving you the ability to amend the subject line of the email. Only recipients who have not responded will be listed for your review before sending. Any further results will appear within the original Blast reporting. There’s more explanation within the demo below. If you would like to add ratings icons to webpages, you can! Follow the demo below for a complete explanation on how to implement it. You have complete control over your account and can delete either responses or entire Blasts. As soon as they are deleted, your reporting will then react immediately. Before we start let’s take a look at why you may want to do this. Customers can on occasions click or tap the wrong button by mistake. Secondly, it could be that the data attached to that particular response is incorrect and an agent may be given a red light when they shouldn’t be. Finally (and we’ve heard this before) it could be that there’s been a misunderstanding and someone’s actually clicked a red light when through discussion they realised actually they really didn’t mean to head a red light after all, because the problem had actually been resolved or something else that happened and it would be unfair to give a particular individual a red light. There are three areas which we going to look at which will help you to delete data from your account. When you archive a Thermometer, all data associated with it, remain inside the system. They are never deleted from your account. Archiving a Thermometer is purely a means to tidy up your Thermometer list screen so that you can more easily manage your workflow. To be completely clear, if you archive a Thermometer, all data remains inside your account… it will show inside your reporting dashboard, it will show inside your exports should you choose to export to CSV, and it will form part of your welcome dashboard charts. In the screenshot below, you can see a small red cross against each response. Whenever you click a red cross, that particular response will be deleted from your account and no longer form part of your results data around your account. It will also no longer appear in your exporting. There is one situation where a recipient can actually change or delete the response they’ve just given. If you are using Email Thermometers (this technique does not apply to Embedded Thermometers), if a user clicks a response and within 15 minutes realises they made a mistake, they can go ahead and click another button on that same Thermometer. If they do so, they will be shown a message to say that they have already clicked that Thermometer. In addition, they will see a reset button. They can then reset their response. This will then show as pending in your account and will effectively make the Thermometer live once again. When they click the Thermometer again the new response will be registered. After 15 minutes they are unable to do this – this is purely a mechanism to correct a mistake. If a customer calls you up after that 15 minute period and tells you they made a mistake with their rating, using the you can then go into your account, click on the red cross shown in the screenshot above to make that particular email Thermometer pending, for them to click once again. Please note for Embedded Thermometers, once the click is received it will remain in the system unless you click the delete button as shown above. There is no opportunity to reset an Embedded Thermometer response. The final way to remove data from your accounts is to delete an entire blast. You can see how to do this from the screenshot below. Please note if you do choose to delete a Blast, all responses from that blast will be deleted from your account and will not be retrievable. Your exports to CSV will also reflect this deleted data. It goes without saying you should be really careful before doing this! We hope you found this post useful and learnt something from the lesson. As ever, if you need any more help in working your accounts and getting the most from your account don’t hesitate to get in touch.